greetings from the sick bed. last Tuesday, the band & i headed out for our June/July East Coast tour, but after our first show that night, in Kingston, NY, i was felled by a Mighty Cold which stole my voice and hasn’t returned it since. salt was gargled [at rest stops], vitamin C was swallowed, throat coat tea was drunk, & sleep was attempted to be had from the van, but The Mighty Cold would just not let up. instead it intensified into a Relentless Cough From Hell (just ask my bandmates), and The Sore Throat Of A Lifetime. we cancelled our Philly show. we played Baltimore instrumentally, with our harp sub Tanya ending the set with a few of her own gorgeous harp-electro-pop songs (including this one which you really should check out, it’s lovely). medical intervention was attempted in DC, where our show was cancelled b/c of the host coming down with an illness of his own. it was starting to feel like this tour was cursed. 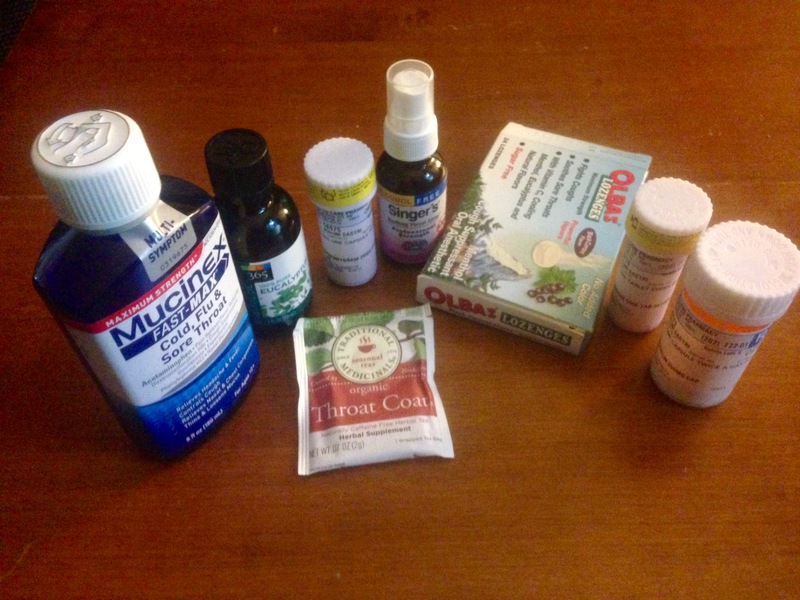 3 prescriptions, and numerous homeopathic remedies later, the laryngitis was just not budging. i couldn’t talk, let alone sing. we have our hopes that i’ll be able to sing by this weekend, and we have notcanceled our show on Saturday in Schenectady or our show in Brooklyn on Sunday. it’s been rough, to say the least ~ disappointing, frustrating. my body is just saying “no” & i can’t talk it out of it ~ hell, i haven’t been able to talk in 7 days. we are so sorry to miss many of you this time around. see you on the other side of this thing. p.s. perhaps an offering to Ursula is what’s needed?